John C Lippold | I.K International Publishing House Pvt. 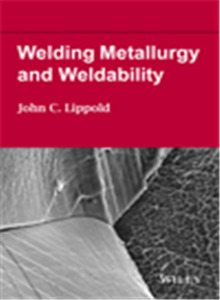 Ltd.
John C. Lippold received his BS, MS, and PhD degrees in Materials Engineering from Rensselaer Polytechnic Institute. Upon completion of his formal education, Dr. Lippold worked for seven years at Sandia National Laboratories, Livermore, CA, as a member of the technical staff, specializing in stainless steel and high alloy weldability. From 1985 to 1995, Dr. Lippold worked for Edison Welding Institute. From 1995 to the present, he has been on the faculty of the Welding Engineering program at The Ohio State University and was recently named a College of Engineering Distinguished Faculty member.